National Pet Day is April 11th, and though no pet parent really needs an excuse to celebrate their adorably awesome pet, it never hurts to add another “save the date” to the calendar. Looking for a little inspiration? We’ve put together a few ideas if you’re looking for some innovative ways to really spoil your furry friend. Make lazy weekend snuggles with your pet that much cuter with matching pajamas. There are several different pattern options from Lazy One and they have sizes to fit the whole family. Give your cat a cozy spot to watch out the window with this deluxe perch. Cats (and even small dogs) can enjoy watching the goings on outside to keep them entertained while you’re away at work. This flower fountain keeps the water flowing, which can help keep your kitty hydrated since it tends to be more enticing than standing water. Give your dog’s leash an upgrade with this personalized leather bag holder. Choose from one of six colors and personalize it with your pet’s name, up to 12 characters. This modern scratcher and cat tree comes in 5 blocks that can be rearranged as you see fit. It’s highly sturdy and durable to withstand your kitty’s sharp claws. While you sip your latte, you can also treat your basic dog to Starbarks to celebrate National Pet Day. 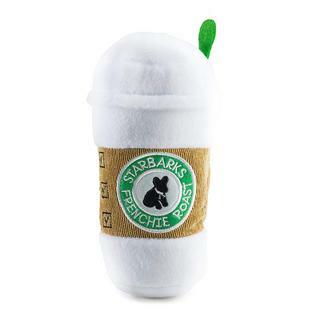 This plush squeaky toy comes in Frenchie Roast, Pupkin Spice Latte and more. 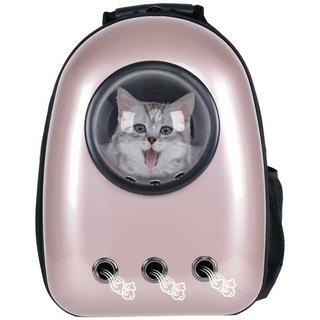 Allow your cat to see the world from the safety of this cat carrier backpack. This carrier is sturdy, breathable, and can fit most cats and small dogs. Feeling extravagant? Treat your dog to a fancy tufted dog bed with crystal detailing. This designer dog bed is shaped like a tiny couch where your dog can kick back and enjoy her Starbarks. Regardless of how you decide to celebrate, we wish you and your furry pal(s) a happy National Pet Day!